Now booking Fall Family Sessions and Class of '17 Seniors. Now's the time to book for holiday family photos, as well as Senior Sessions. September is booked so book now before the rest of the dates run out! Visit www.cherphotographyaz.com/contact or email cherphotographyaz@gmail.com to reserve your preferred date. Full sessions and mini-sessions are available. 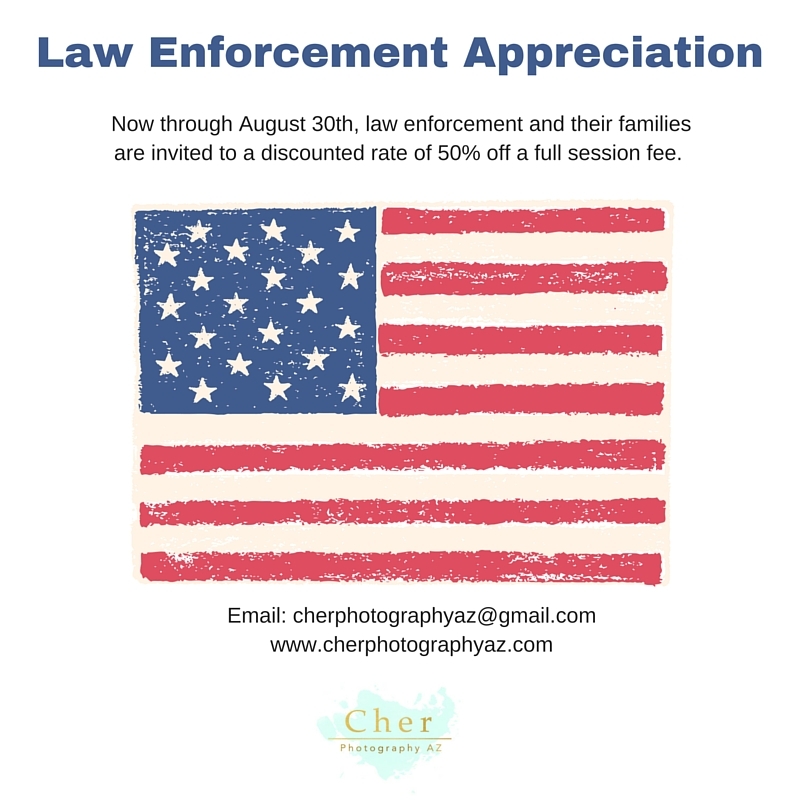 As a small gesture of gratitude towards the public servants who put their lives on the line everyday, I am offering 50% off sessions now through August 30th for law enforcement and their families in the greater Phoenix area. Emailcherphotographyaz@gmail.com to book. We appreciate you!!! Note: Discount is good for full sessions, which take place by August 30th. ​The Senior Model Team '17 Search is On! For more information or to apply, please email cherphotographyaz@gmail.com. ​Hi there! Thanks for stopping by my page. 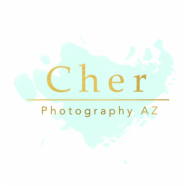 My name is Cheryl, and I’m the owner/photographer at Cher Photography AZ in Surprise, Arizona. I specialize in high school seniors, children, and families, and I shoot outside utilizing natural light. While I love that there are so many gorgeous locations in the West Valley and the greater Phoenix area, I don’t love the summer heat. I want your portrait experience to be a fun and enjoyable one, and that can’t happen if you’re melting from the scorching sun! So for the months of June and July, I’m offering a Sedona summer session with NO TRAVEL FEE. This arts and crafts plaza has the feel of an old world Mexican village with cobblestone paths, Spanish tiles, fountains, flowered pots and vine covered walls, and arched walkways. This plaza has a romantic feel, and it would be ideal for a senior session or a couple. A few years ago, I learned the hard way that the arches were too narrow when we tried bring our double BOB stroller…and we were probably the only ones there with toddlers. Cathedral Rock and Red Rock State Park are two locations that are relatively easy to access. They have gorgeous views - both at the bottom and on the way up. Family sessions are $200 (up to 6 people), and senior sessions are $275. 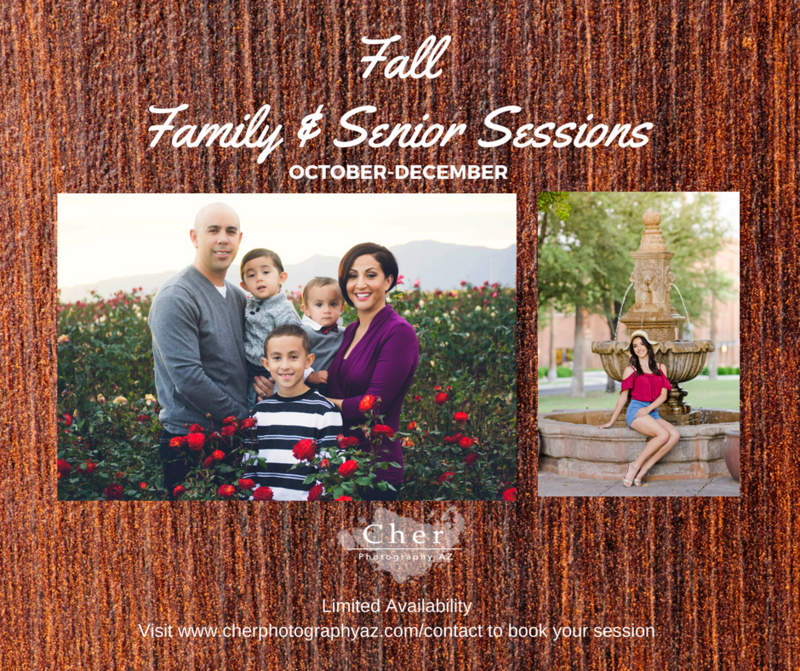 If you’re ready to schedule your Sedona Summer Session session, then please email me at cherphotographyaz@gmail.com! There is limited availability in June or July so book now!